We’ve boasted it before: our amazing location makes us the perfect home base for adventures. 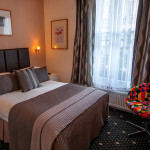 The guests who visit us very often have one main thing in common; they want to experience the very best of London while staying in a hotel that’s more personal and in tune with what they really need. The Melita Hotel’s involvement with our local neighbourhood makes us especially suited to this type of traveller. When you want to wander the local art museum, we can help you secure tickets. If you’re curious about the architecture of Pimlico, we can indicate the most exciting places to visit and learn all about it. 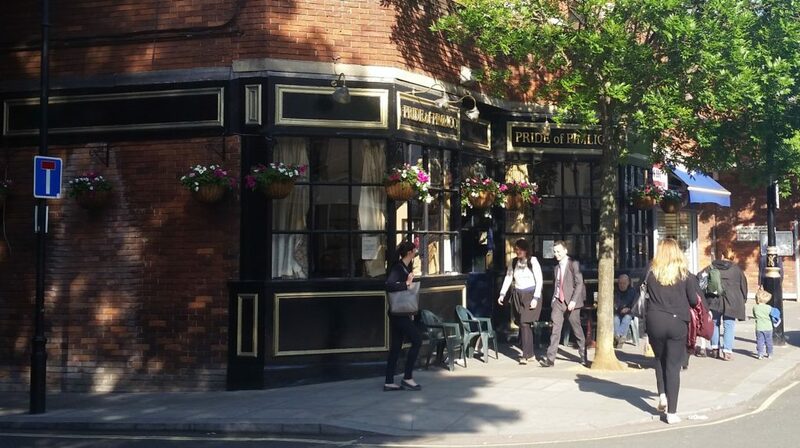 And when it’s close to the end of the day, your feet are tired from wandering, and you’d just adore a really good pint of beer, we know the top five pubs just five tube stops away from The Melita. We’re so confident that you’ll love these locations that we’ve laid them out for you to see, right here. 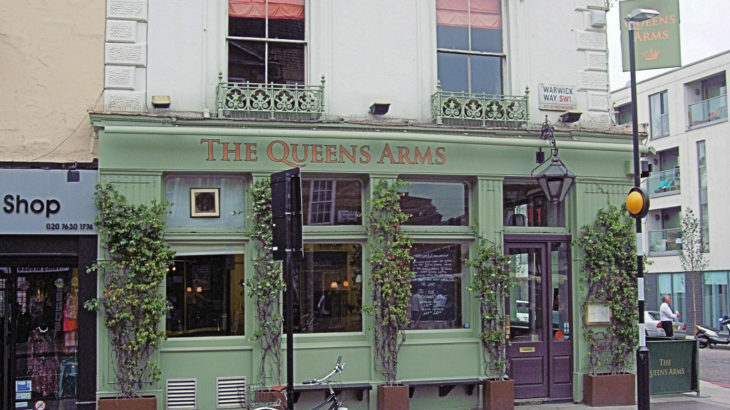 One of our best-known local pubs, the Pride of Pimlico is all about simplicity and getting back to the roots of what it means to be a great pub. This Irish pub has an old-timey feel even before you ever step in the door. The exterior is nondescript, but don’t let that fool you; the magic happens once you step inside. The first thing you’ll notice when you walk in the door is all the cosy little spots to curl up in for a bit of conversation, or maybe even just a few minutes with a good book. This pub is, surprisingly, not English but Irish, so you’ll find timeless standards like Guinness, Murphy’s and O’Hara’s on tap or available by the bottle. Of course, no true Irish pub experience is complete without downing at least one icy-cold Guinness, so be sure to grab one when you go. Why visit: Lovely staff, lovely people. Feels like home. Just the right size when you want company without feeling overwhelmed by crowds. This upmarket gastropub serves up some of London’s best pub food. If you’re starving by dinner, and in need of a comfy seat, this is the place you want to be when the dinner bell rings. It’s also a local favourite, so if you’re looking to integrate yourself with the neighbourhood and experience its culture, this is the place to experience that. 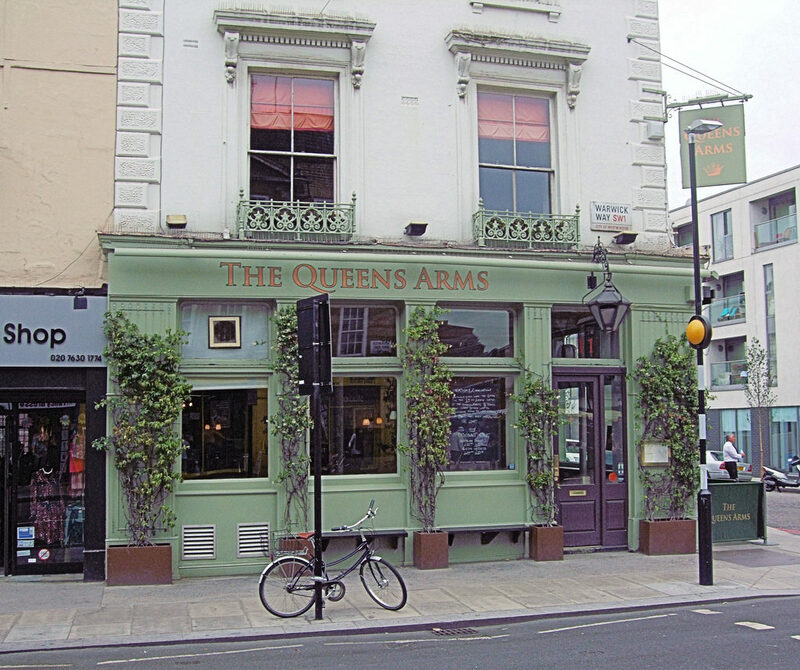 All of the food is excellent at The Queen’s Arms, but guests tend to brag the most about the burgers and pies. They’re simple, but perfectly prepared and largely portioned to fill you up, either before you head out to a club or after you’ve discovered the rest of Pimlico. Why visit: For the food, and for the local-soaked atmosphere. The keg and beer selection is a close third for good reasons to visit. Amenities: Cosy seating. Separate dining area if you’re looking for something a bit more intimate. Reservations: Not required, but recommended. Make them here or ask a Melita staff member for help. The Cask Pub and Kitchen is a bit special. Though it hasn’t been around for as long as some of the others, it’s owned and run by Pimlico’s friend Martin Hayes, a local who was both born and raised in the area himself. This lovely little pub serves up some of the area’s best gourmet burgers, and has a boast-worthy selection of 10 cask ales, 15 keg lines, and a whopping 300 different bottles of beer. 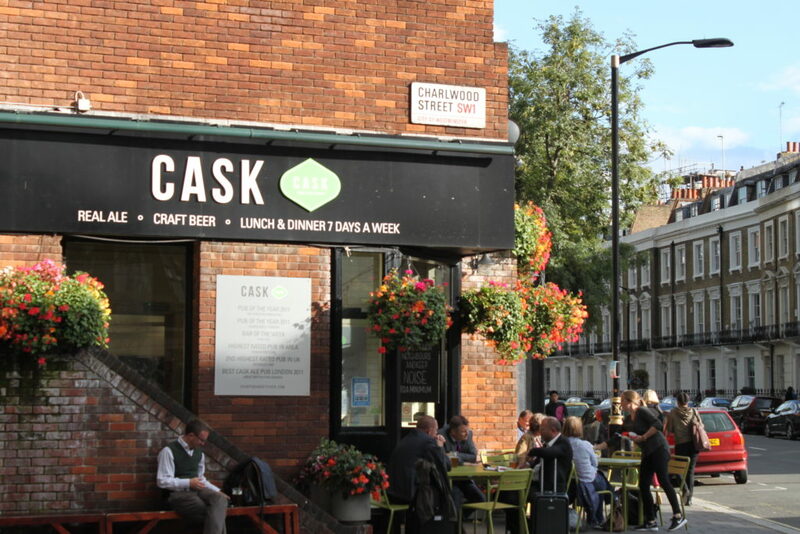 The Cask’s best feature is, without a doubt, it’s incredible selection of beer. If you’re coming in from across the pond, or anywhere else in the world, really, you’ll want to make this one of your first stops for beer and wine tasting. The kitchen’s gourmet selection is like icing on the cake, but it just can’t top the incredible selection of refreshments. A word to the wise: The Cask’s beer selection changes daily. Be sure to call ahead to find out what’s on tap today. Why visit: Definitely for the beer, but also for the gourmet burgers. Also, did we mention the beer? Amenities: Live music on certain nights of the week. Incredibly comfortable bench seating all around the main room. Reservations: Not needed, but you can make them by ringing +44 20 7630 7225 if you want choice seating. 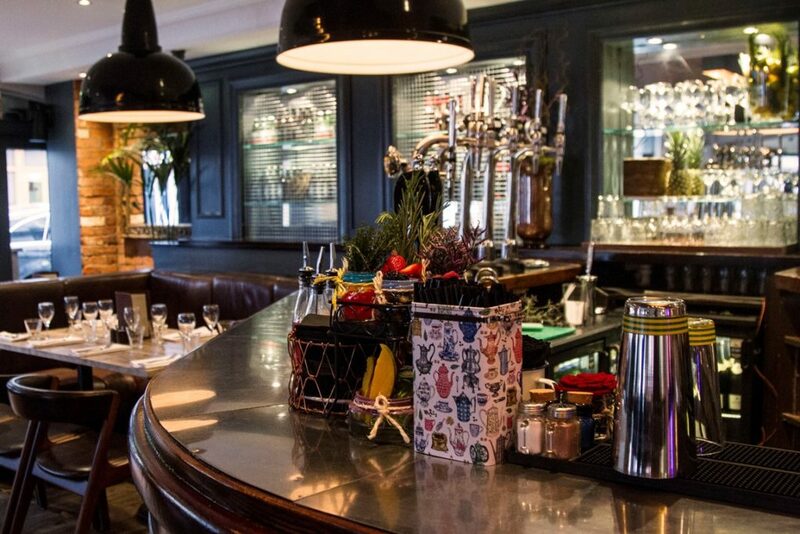 Both a pub and gastropub in one, the Warwick is famous in London for hosting some top-notch parties. This exciting location has just about everything you can think of to offer: an amazing selection of beer, great food, music, and even a fine selection of beautifully put-together cocktails. It’s a bit more party-oriented and upscale than some of Pimlico’s other options, making it a swell place for a less-formal-but-not-quite-casual date night while you’re with us. It’s also an excellent place to get out and mingle with the locals if you plan to stay for a while. With nearly 2,500 likes on Facebook and a grand plethora of positive reviews across the internet, we can say with confidence that The Warwick is well-liked and well-visited. The time of day you visit does seem to matter; for a more laid-back experience, visit before 7:00 p.m. For a livelier experience with more drinking and dancing, hit the pub later on. They’re also very well-known for hosting holiday specials and events, so be sure to check what’s on when you visit. 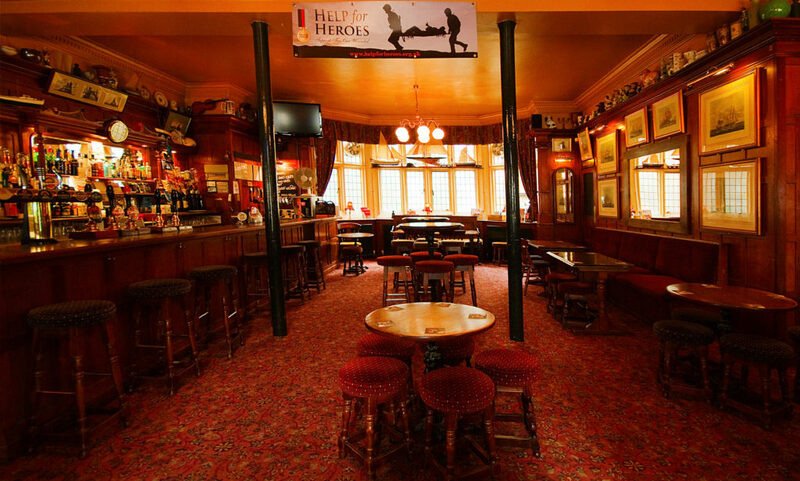 Why visit: Visit if you’re looking for a mixture of club and pub in one. Also for the incredible cocktails and ale selection. Amenities: Standard pub seating. Live music on special events and certain nights of the week. Reservations: Highly recommended, and on special occasions and weekends, a must. Make them here. The Constitution is technically classed as a 19th-Century hostelry, but it, too is one of London’s most charming and unique pubs. Much like the others, it has an incredible selection of beers and great food. What makes it really special and sets it apart is the rich, dark wood decor and atmosphere. There’s something about The Constitution that just feels incredibly historic England circa the late 1800s, even if you’re surrounded by far more modern locals and smartphones. It’s very much not anything like a chain pub–so much that sometimes it’s easy to take a glance inside and assume it’s for an older crowd. Sure, some of the edges are a bit worn, and time has taken its toll on the interior, but it’s so charming that just a few minutes spent inside will make you forget all of your misgivings. Food-wise, you’ll find much of Britain’s traditional fare here. It’s well-portioned, well-made, and just generally carries a very homemade feel. With both a grill and several traditional restaurant stations, it’s much easier for them to carry a wide menu; we recommend trying the steak and chips, following up with ice cream for dessert. Beer-wise, you’ll find mostly English ales on tap here, so the selection isn’t quite as wide as the others. 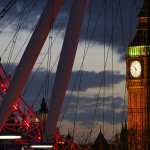 Why visit: The atmosphere is distinctly English, steeped in history, and just altogether welcoming. Great locals and welcoming staff are also a plus. Amenities: Few, but the atmosphere makes up for it. Very traditional English pub. Reservations: Not required. 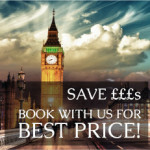 Ring +44 20 7834 3651 for questions about events or the menu. 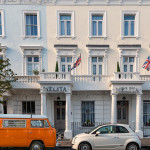 Travel London Hotel, Pubs. permalink.